We are coming up to the end of football season and that means my world is pretty hectic, add to that the mountain of unwritten reviews I’m flailing under and I very nearly missed the round-up. I would love to blame the fact that my calendar reminder didn’t ding and remind me but I need to take responsibility, and admit that I forgot. Our AWW reviewers certainly haven’t forgotten the Crime genre over the past couple of months, we have 56 reviews posted since the last round-up of 35 books by 33 Authors. That tells me that we have some popular reads reviewed this round-up so let’s see what gripping new reads we can add to our towering TBRs today. There are two titles this round-up with five reviews, that’s a pretty impressive number so let’s take a look at what our reviewers have to say. 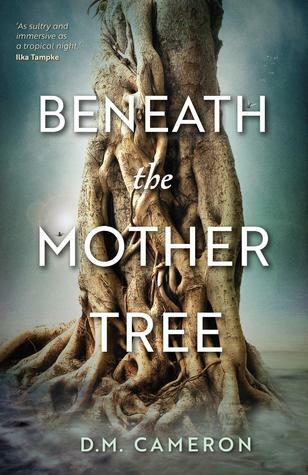 Beneath the Mother Tree is the debut novel of D.M.Cameron and it combines Irish mythology with Indigenous history in a gripping mystery and contemporary love story. A premise which sings of love, magic, fear and the fey. 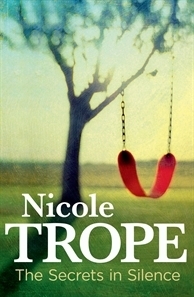 Our reviewers agree that this is a stunning debut beautifully set on a tropical Queensland island. Ashleigh Meikle at The Book Muse says: What I liked about this novel was the care that D.M. 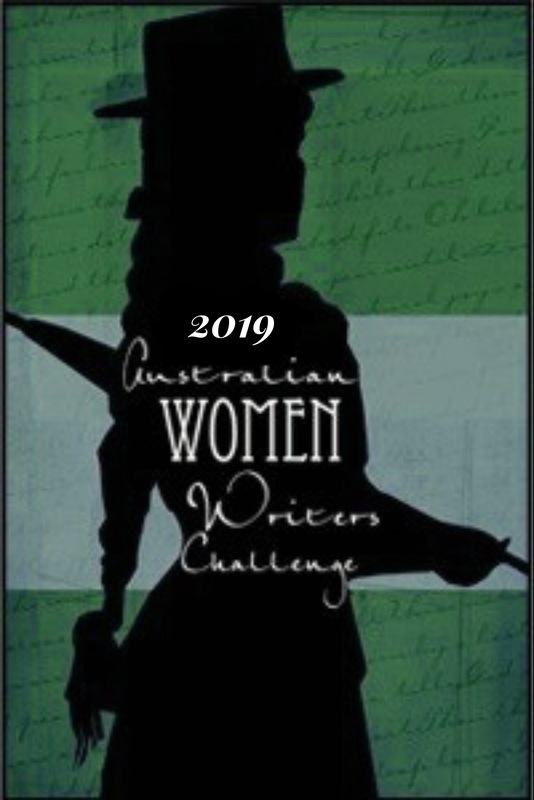 Cameron took with her research into Irish mythology and the research into the Indigenous history of the Quandamooka people and the islands near Stradbroke and Moreton Bay, and has ensured that she gave the utmost respect to these stories. This made the story richer and gave a better experience with the facts of Indigenous history, and the stories and experiences of Ayla’s friend, Mandy woven throughout. Goodreads has our other 4 reviews for Beneath the Mother Tree where Cass Moriarty, Marianne, Brenda and Carolyn all gave the book 5 stars. 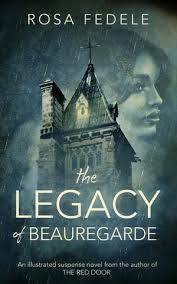 The Legacy of Beauregarde by Rosa Fedele is the other book that cropped up 5 times this round-up, with 4 reviews and an interview. It’s a brand new release so the number of early reviews is great to see. Each of my books is built around an iconic Sydney building. The Seminary was inspired by an old Abbey in Annandale; as in the book it is a majestic estate previously owned by the Catholic Church. I then picked the building up and placed it in the leafy and delicious suburb of Hunters Hill. The Legacy of Beauregarde received 4 solid reviews, and also got a mention in the Spec Fiction round-up. From the reviews by Mrs B’s Book Reviews, Ashleigh Meikle at The Book Muse, Jennifer Cameron-Smith and Cass Moriarty this is a dark and gothic tale that is heavy on detail with a large cast of characters that mean you need perseverance and patience to get your head around all that is going on within it’s pages. The book is illustrated by it’s author Rosa Fedele so has some atmospheric pieces to make this quite a visual journey as well. On Goodreads Cass Moriarty says: Author Rosa Fedele Garrett has given us an engaging and quirky story that blends the traditional with the modern, the traumatic with the romantic, the horrifying with the humorous, and the realistic with the fantastic. But it is her amazing artwork that first caught my eye: beautifully rendered illustrations and detailed life-like drawings; portraits of the characters that really brought them to life. The story is underpinned by social commentary — about dysfunctional families, dysfunctional neighbourhoods, dysfunctional sexual relationships — and how silence, whether by choice or enforcement, acts as a coping mechanism for many people. Trope writes about the “voiceless” — in this case a teenage girl and a lonely older woman — and shows what happens to them when they get caught up in events much larger than themselves. Two reviews appeared for Into The Fog by Sandi Wallace, the third in a rural crime series featuring journalist Georgie Harvey and Senior Constable John Franklin. Marianne and Brenda both reviewed the novel on Goodreads and rated it highly. Brenda says: Into the Fog is the 3rd in the Harvey and Franklin series by Aussie author Sandi Wallace. Set in the rugged bushland of Victoria, not far from Melbourne, it’s easy to visualize the dense fog, the darkness of the bush and its sinister surroundings. The distraught parents; the desperation of the police; the terror of the missing. The cover is perfect for the book – eerie, atmospheric and chilling. An excellent follow on in the lives of Georgie Harvey and John Franklin, Into the Fog is one I thoroughly enjoyed and highly recommend. I really could stay here all night, there are so many amazing crime novels written by Australian Women being reviewed. We are still seeing new reviews logged for Bloodtree River, The Yellow House, The Portrait of Molly Dean, The Ruin and Into The Night. I hope to get some Australian Crime read sometime soon, but first I need to get all my reviews written. There are still a lot of great reviews to delve into but for this round-up I think we’ve got a few great new books to check out. If you want to check out all of the crime novels that have been reviewed you can head to the AWW Books Reviewed page and search by Genre. It will put all of the reviews at your fingertips. We would love to hear about the great crime reads you have enjoyed recently. I am a SAHM of 4 who loves words; written, spoken, sung… if it has words I’m there. I have been reviewing at Beauty and Lace for coming up to 8 years. I started as a lover of horror, fantasy and crime but my time reviewing has broadened my horizons enough that I read pretty much anything, when my gorgeous rugrats allow me the opportunity. Another great round-up Michelle. Crime was one of my favourite genres but I seem to be lacking in my Crime reads lately. Some good recommended reads in this round-up to get me back into them. Thanks Michelle. There are some good crime novels being released this year, many with an historical crossover which I really like. Thanks too for the interview mention!